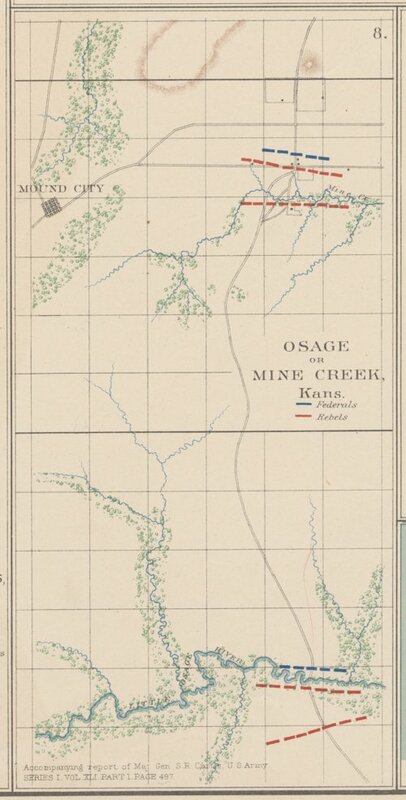 This is a map showing the Osage or Mine Creek battle. It accompanied a report by Major General S. R. Curtis, U. S. Army and was copied from the Atlas to Accompany the Official Records of the Union and Confederate Armies, 1861-1865 [War of the Rebellion], Series 1, Vol. XLI, Part 1.